Pump up fans for Bravo’s Season 7 premiere of The Real Housewives of New Jersey. We transformed New Jersey icons into American icons with a super targeted Snapchat campaign. 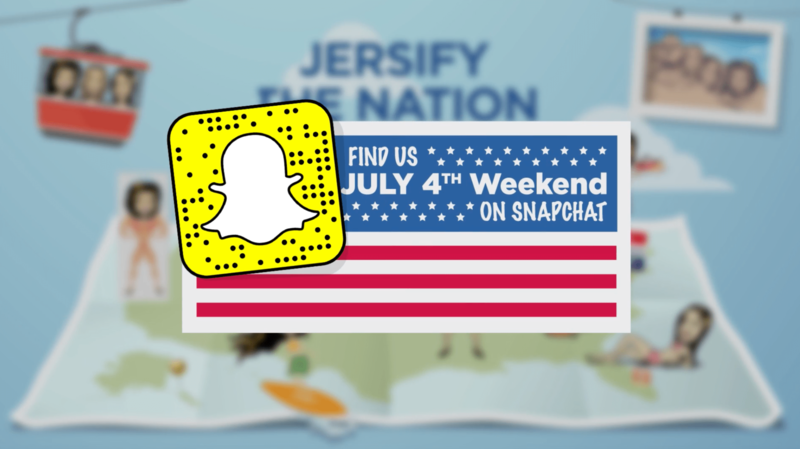 Capitalizing on the most American holiday of all – the Fourth of July – we simultaneously released dozens of cleverly branded Snapchat geofilters, all under the umbrella of the RHONJ brand, all over the nation. The geofilters were designed for specific, popular July Fourth weekend destinations – landmarks, monuments, fireworks displays, baseball stadiums and more. Each geofilter was completely unique; the art was a nod to both the location of where the filter went live, as well as a wink to the series. But one day wasn’t enough for the scope of this campaign. Users discovered these entertaining geofilters for five whole days during and surrounding the long weekend. In total, we created 73 Snapchat geofilters released for an astounding 1,192 total hours. With over a million organic social impressions, the campaign was a ‘snapping’ success! The press loved it – US Weekly, Entertainment Weekly, and Bustle all featured the campaign before its official launch. Not only did the campaign create serious buzz and awareness about the RHONJ premiere, but it also allowed fans to share their love for RHONJ – proving that the women of RHONJ truly are – American icons.